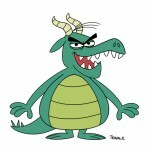 Week 6 assignment is to design one dragon in both the Jay Ward style and Ronald Searle’s style. So here’s my best attempt at the first one! Been hard at work on my assignments for the cgma course I’ve been taking this summer! Here’s a lineup of pirates, some librarians, and two people interacting on a bench. 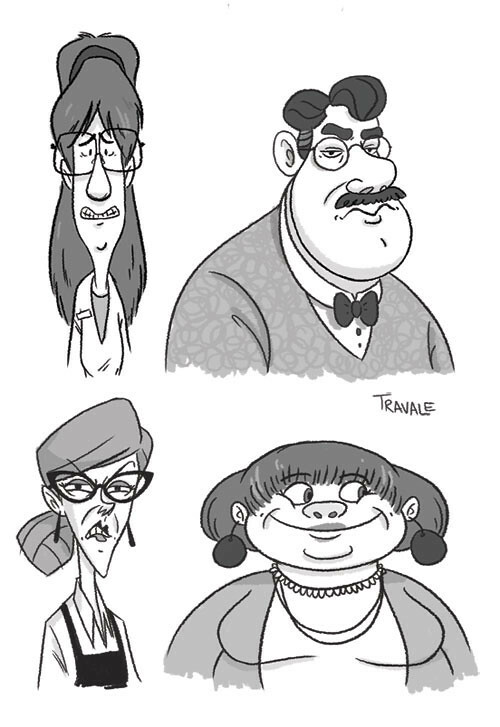 My third year of animation at Sheridan stars up on Tuesday. SO EXCITED! I am really looking forward to this year! Tags: art, cgma, character design, digital, flasher, librarians, pirates. 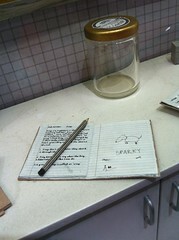 Going through some notes from last year. 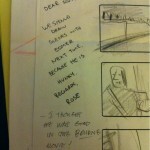 This particular gem is from an in class assignment where we drew thumbnails from Return Of The King. 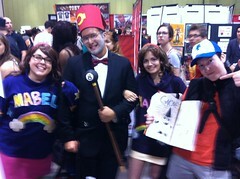 Fan Expo 2012 wrap up! Wow! What an awesome weekend! Fan Expo is always such a good time and this year was no exception. Thank you so much to everyone who stopped by our table! Craig and I really appreciate it! I feel really lucky to have finally met some online friends in person and spent some time with old friends also! 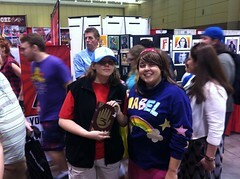 My pal M.Harris and I dressed up on Saturday as Dipper and Mabel Pines from Gravity Falls! 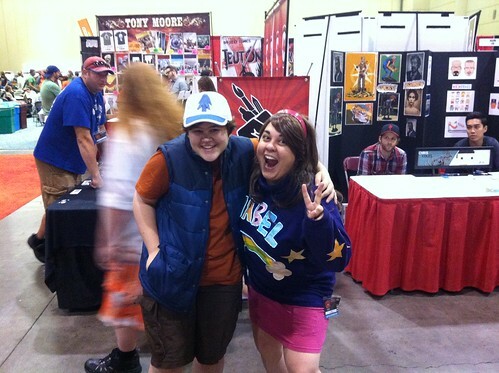 And people actually knew who we were and wanted photos, which was pretty rad. Got quite a few compliments on my light up sweater! 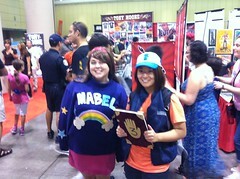 I tried to get as many photos as I could with other Gravity Falls cosplayers. 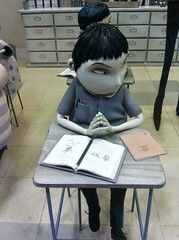 While I didn’t get away from my table very much this year since it was so busy, I did check out the Frankenweenie exhibit early Friday morning. 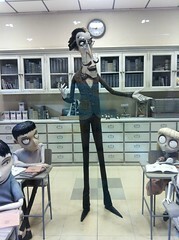 So amazing to see the puppets and props up close like that. Really inspiring stuff! 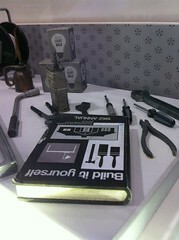 The show was packed as ever this year! 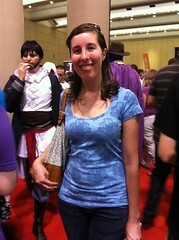 I finally saw someone (that I didn’t know) wearing my TARDamask shirt from Threadless! That was pretty exciting for me. 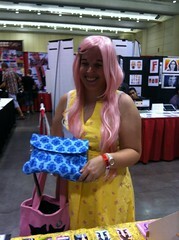 I also had a girl dressed as Fluttershy show me a great purse she made from the fabric she bought from Spoonflower. Can’t wait for next year! Craig and I have already pre booked our table in Artist Alley. See you there! 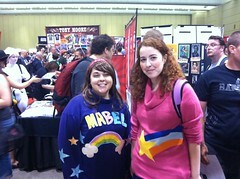 Tags: adventure time, convention, cosplay, costume, Fan Expo, gravity falls, tardamask.